Segall has earned his position to tell us how to try and achieve simplicity, not just in design, but across the whole way that a company operates. He had the dubious badge of honour of being on the receiving end of some of Steve Job’s responses to ideas he submitted to Apple. The diplomatic name for this process was the ‘Simple Stick’. 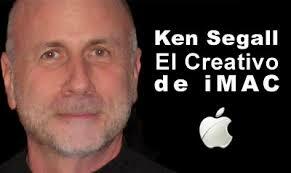 I know there is a whole industry of hagiography towards Steve Jobs and all things Apple. Even without being an Apple lover I think there is still a lot to be said for trying to simplify your working practices wherever possible. Segall gives lots of good examples of where Apple reduced their product range and the number of features offered. He describes how it often wasn’t the cheapest or easiest route to follow, but in terms of the best product for the customer and their user experience, it was the right choice to make. A good thing about the book too, is that he recognises that while the concept of ‘simplicity’ can and should be simple, it is not always easy for large companies to actually apply those concepts. 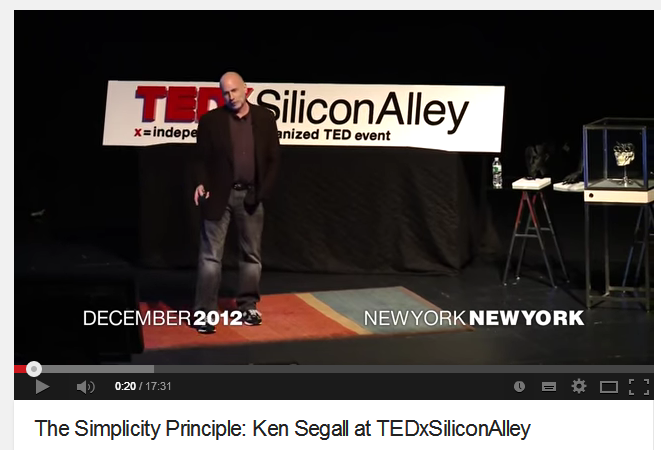 As Segall also worked for Dell, IBM and Intel, he has good direct comparisons of other companies that failed to do things in the simplest and quickest way possible. It’s clear Steve Jobs was not the easiest to work with. 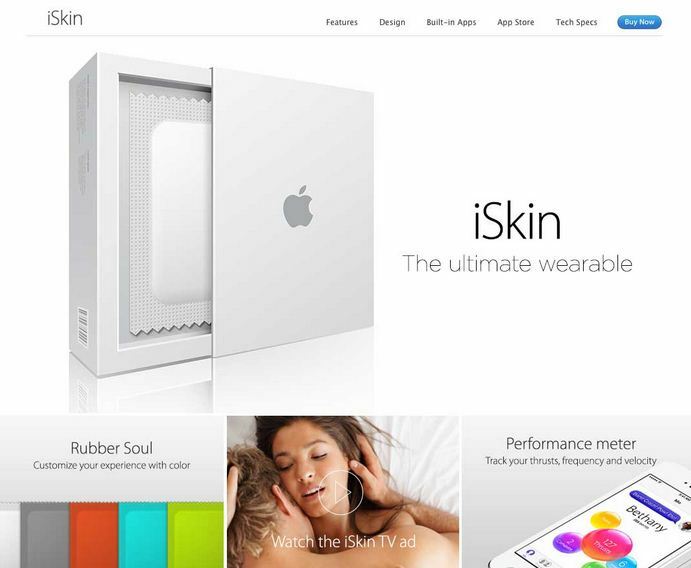 However his intention was to make the best product possible for the customer. In contrast numerous other companies end up with interesting ideas stuck in committees, waiting for the approval from too many levels of the organisation. We’ve all worked with clients where their innate conservatism restricts their ability to be open to embracing change. 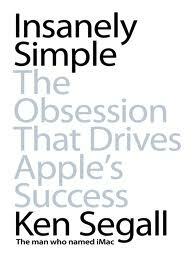 Segall tells the story of one meeting, with a regular group of key people, where Steve Jobs sees someone new there. He asks her why she is there. She explains she is there to represent a particular interest. He says no, no no no, we don’t need you, you can leave. On one hand this seems brutally rude, and obviously humiliating for the person involved. On the other hand it also feels liberating in terms of being able to strip things down back to the bare minimum of who you need at the meeting. The more people you have, the more people feel they need to contribute to the conversation, and so the meeting takes longer. Occam’s razor, the concept of finding the simplest solution to a problem, seems fitting here. Small teams enable decisions to be taken quicker, as long as you are able and willing to trust people to get on with it. As you read the book it makes a strong case for why working with the ‘Simple Stick’ principles could be a really liberating, productive way to work. Also, contrary to Steve Job’s technique of a grand unveiling of a new product at the end of his annual Apple product presentation, when he was being presented to he just wanted to be shown it. Rather than tell him how they got to the point they were at, nor the tools and technologies used, he wanted to see if it wowed him, and made sense, without being told what to expect. Ideally if a product is going to be a hit, it will be because it fixes a problem. It should be that simple. Accidentally we have recently started a company, here’s hoping we can keep using the Simple Stick, and make sure we remember to make great logical decisions that focus on delivering the best option for our customers and our own team. Described as ‘unreal’ Apple news.